The State Museum of Jambi Province - 13.350 square meters in width – was built in 1981 above the 4.000 square meters land. The physical appearance of the museum implies the Kajang Loko architecture, typical of Jambi Province‘s traditional architecture. For note, the museum has been officially open for public since June 6th, 1988. Numerous historical and cultural collections of Jambi Province are kept well inside the museum. And then, those collections are divided into some categories such as biology, geology, archaeology, ethnography, and numismatology. At least there are 2.855 historical and cultural collections that are kept well inside the state museum of Jambi Province. Five of them – two golden statues of Avolokiteswara, heptagonal golden medal made of Turkey, golden belt and necklace – are the icons of the museum. The discovery of Avolokiteswara statues happened in Rantau Kapas Tuo in 1991, while the heptagonal golden medal – dated in 1928 A.D. – is a tributary of Ottoman Empire from Turkey. 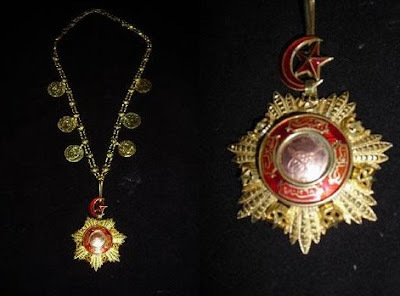 Far before being given to the state museum of Jambi Province, the medal had ever been kept by a royal family in Malaysia. Some other historical properties of the museum are the old money machine stamp, ancient canoe, Jambi traditional costumes, and many more. Discover numerous valuable properties within, suit for you who are undertaking a research in Jambi Province. The State Museum of Jambi Province lies on Urip Sumoharjo Street, Telanai Pura Sub-district, Jambi City, Jambi Province Indonesia. You can easily access the museum for its strategic location, in the heart of Jambi City. You can take any public transport to reach the location from Sulthan Thaha Syaifuddin airport for about 30 minutes. The entrance ticket for children is IDR 250, while for adults is IDR 750 and IDR 1.000 for foreign tourists (per March 2008). You can easily find some hotels to stay longer around the location. Moreover, restaurants and food tents are also available there as well.